In the framework of the special theory of relativity, the relativistic theory of gravitation is constructed. The energy-momentum tensor density of all the matter fields is treated as a source of the gravitational field. The energy-momentum and the angular momentum conservation laws are fulfilled in this theory. 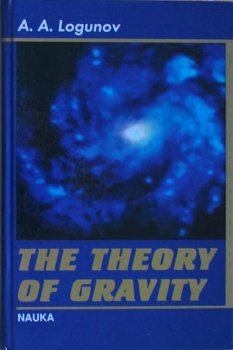 Such an approach permits us to unambiguously construct the gravitational field theory as a gauge theory. In this contribution, the authors assess the current experimental status of Special and General Relativity. Particular emphasis is put on putative extensions of these theories and on how these could be detected experimentally. This a book is for those who would like to learn something about special and general relativity beyond the usual textbooks, about quantum field theory, the elegant Fock-Schwinger-Stueckelberg proper time formalism, and much more. The first six lectures are devoted to Special Relativity, and the remaining ones to Einstein's General Relativity and Gravitation Theory and to relativistic Electromagnetism. Due attention is given to the critically conceptual side of the subject.